I have been a devotee of my Tangle Teezer for a really long time now so I was really keen to try out some new variations as well as the Invisibobble traceless hair rings. 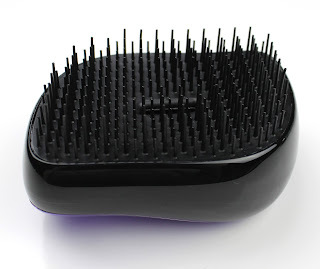 The idea behind the Tangle Teezer is to provide easy detangling with rigid bristles that are safe even for getting knots out of wet hair without pulling or yanking. The Invisibobble hair ties on the other hand are for more comfortable ponytails that don't pull, give you a head ache and most importantly, leave kinks. I have been using the Tangle Teezer Original Blueberry Pop ($29.99) for quite a while now but I have to say this one is a whole lot prettier. 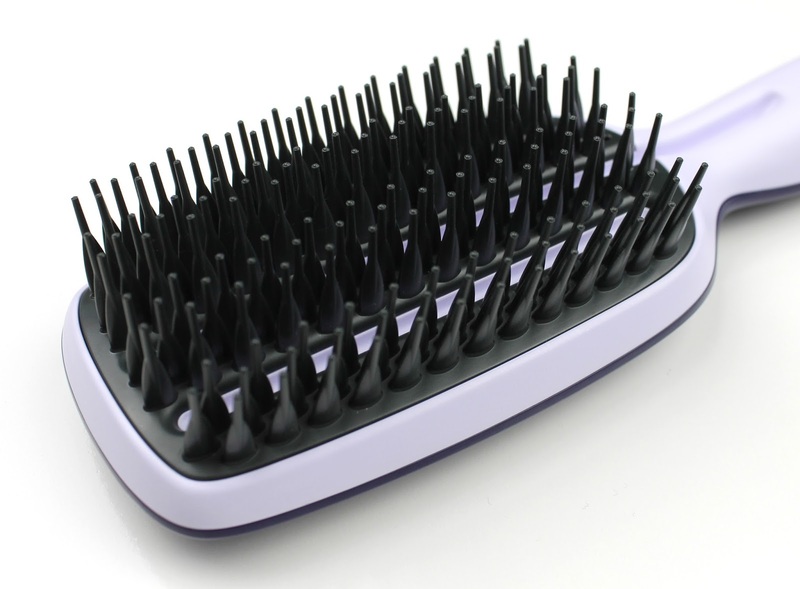 I love the metallic purple finish and the bristle guard that clips nicely on the bottom to protect the bristles and prevent things from getting tangled up in them. It is a nice size to fit snuggly in my handbag while still being big enough to get the job done without being fiddly. For size reference it is about as big as my palm. If you travel a lot this would be a great one but honestly it looks nice sitting on a vanity too. 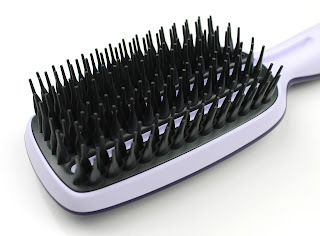 The bristles are the same great quality with two different lengths to grab and detangle without any pulling. I wish this was around when I was little and used to get my hair so tangled. So many teary detangling sessions armed with a huge bottle of leave in conditioner could have been avoided. This is a brand new addition to the Tangle Teezer range and is something quite different. It has teeth that have been specifically designed extract water from the hair to dry it really fast. The teeth are also a lot larger and more and more rigid than the normal Tangle Teezer so it probably isn't one you are going to use for every day brushing. 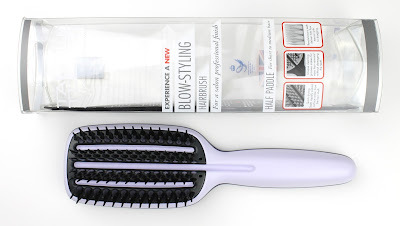 I did actually like the fast smooth effect this brush gave and I think it would be great for thicker hair especially but unfortunately it has one fairly large design flaw. The 3 groves down the brush are for easy hair removal but the middle one vents hot hair right down the handle and onto my hand while I was drying my hair. It got quite uncomfortable and annoying; enough to make me give up and go back to my radial brush. If only they had kept the middle groove just like the side ones. I was intrigued by these at first but also l will admit to being a little confused and maybe skeptical. I was so glad to be wrong though and I actually really like them. Of course they don't look as neat and tidy as a regular hair tie but they are way more comfortable because it doesn't pull uncomfortably and give me a headache. I think it is because the pressure of the hair tie is more evenly distributed. The best part though is that the don't leave any kinks! I even use mine as a bit of a styling tool. After I blow dry my hair while it is still warm I twist it into a loose bun and secure it with an Invisibobble and let it cool. It is worth noting that they do stretch out when you use them but that doesn't affect the function at all. Because it doesn't kink it, my hair forms into the most gorgeous big natural curls with zero effort. 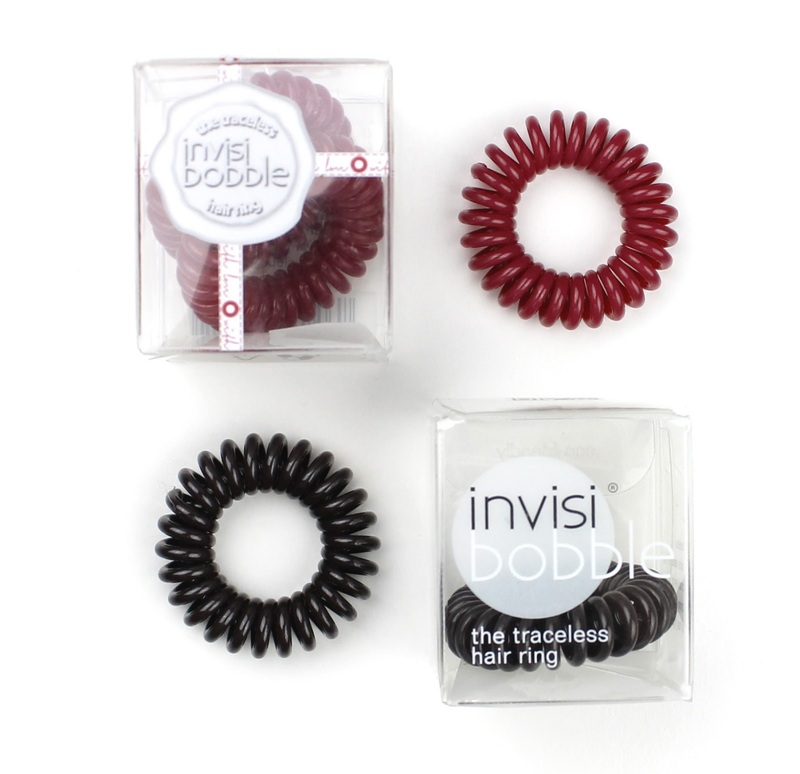 Long story short though, I love these Invisibobbles and they are now my everyday go to. So there are my first impressions of these inventive new hair tools. I really love the Invisibobble rings and the Compact Styler. 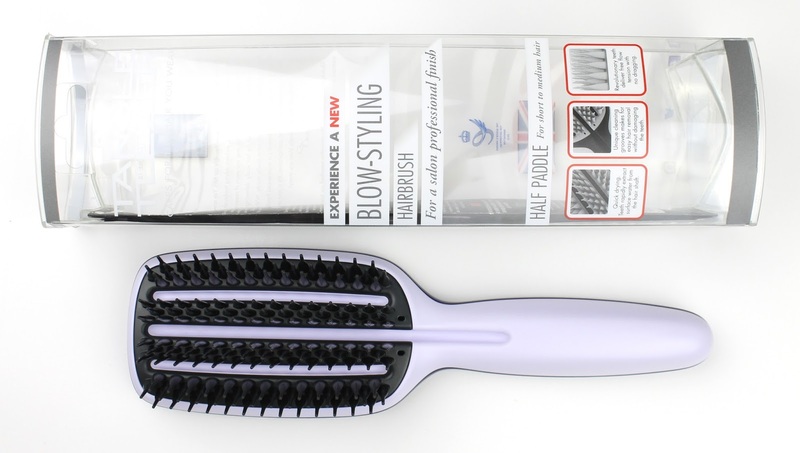 If it weren't for that middle groove I would like the Blow-Styling hairbrush too. Maybe they will revise the design? We can only hope. Are you a big fan of Tangle Teezer or Invisibobble already? Will you be picking them up to try after reading my review? Let me know in the comments below. 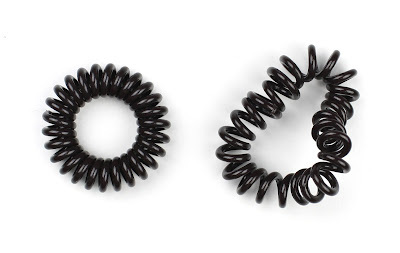 4 comments on "Tangle Teezer and Invisibobble"
I reckon the Invisibobbles look kind of like phone cords from when we were little. I always hear good things about the tangle teaser but my hair is so fine I just use a comb and have no volume haha. Haha I thought the exact same thing when I first saw them! I would definitely recommend trying out the Tangle Teezer though. I have normal hair but I still love mine to pieces. I love the way the firmer bristles massage my scalp too. I 100% agree. I would never go back after trying Tangle Teezer. Like I said in my review, I only wish I had discovered them when I was a kid with constantly knotted hair.